Abstract: As a world famous brand, Airwheel electric self-balancing scooters can be seen in every place of the whole world. However, many Japanese have complained that they cannot buy the Airwheel electric self-balancing scooter in their country. For the Airwheel electric self-balancing scooter fans, it is indeed a big trouble. Today, the Airwheel editor brings the good news that the Japan's Airwheel exclusive shop is opening business. Today, the Airwheel editor brings the good news that the Japan exclusive shop is opening business in Huis Ten Bosch, Japan on September 23, 2015. 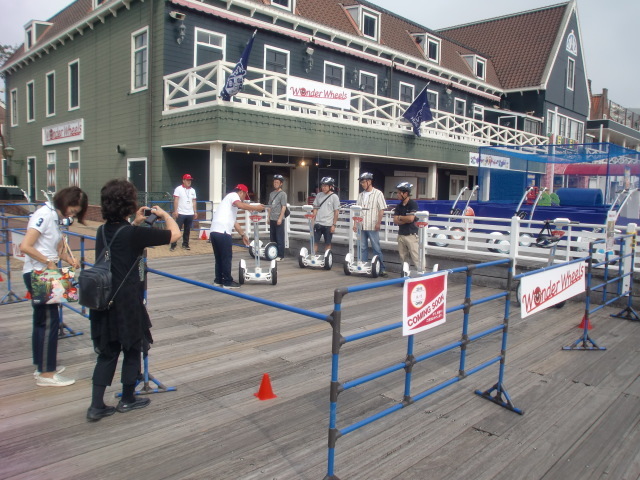 As we can see from the picture, many people are eager to ride the self-balancing scooter. 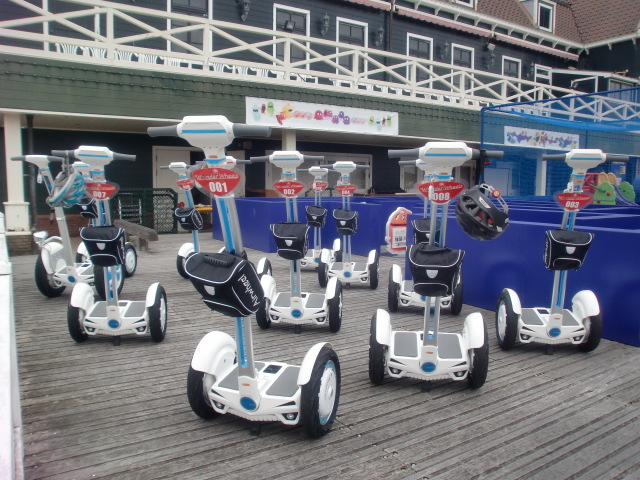 The working staff is introducing the main parts and functions of the electric scooters and telling them several matters needing attention, such as how to turn around, speed up and stop and so on. They all need to wear helmet in case of accidents happen. It is necessary for green hands to do so. In fact, the Airwheel electric scooters are protecting the riders form the following aspects, speed limit protection, low battery protection and tilting protection. The above picture shows the riders’ trial experience in Huis Ten Bosch. We can see that they are riding carefully. When they practice several minutes, they will ride better. The Airwheel S series, 2 wheel self-balancing scooters have been widely used in airport, factory and police patrol. Built-in intelligent balancing chip maintains longitude balance. Such considerable detail as anti-collision design at the back of handlebar to minimize impact caused by scratches and collisions make it more comfortable. Now the fans of Airwheel in Japan will get it in their home. Huis Ten Bosch is Asia's largest leisure theme park. If you are walking to visit this huge park, it will be tiring. As the Airwheel exclusive shop is located here, it can save many travellers’ trouble, funny and energy-saving. With the continuous efforts of Airwheel Technology, the intelligent self-balancing scooter is reaching more and more countries in the world and more and more people will benefit from riding the Airwheel! We believe that we will see more and more Airwheel intelligent scooters appear in huge theme parks.